(CCIM) is a statutory body under Department of Ayurveda, Yoga and Naturopathy, Unani, Siddha and Homoeopathy (AYUSH), Ministry of Health and Family Welfare, Government of India, set up in 1971 under the Indian Medicine Central Council Act, (Act 48) which was passed in 1970. 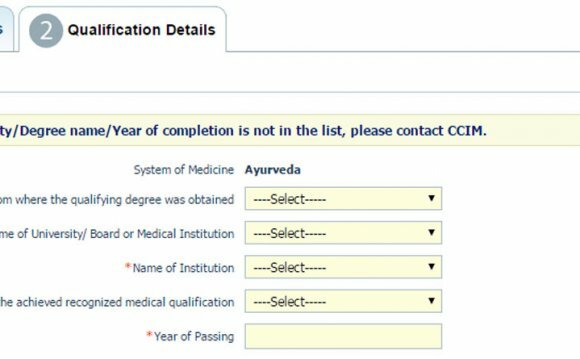 It is one of the Professional councils under University Grants Commission (UGC) to monitor higher education in Indian systems of medicine, including Ayurveda, Siddha and Unani. To prescribe minimum standards of education in Indian Systems of Medicine viz. Ayurved, Siddha, Unani Tibb. To advise Central Government in matters relating to recognition (inclusion/with drawal) of medical qualification in/from second schedule to Indian Medicine Council Act, 1970. To maintain a Central Register on Indian Medicine and revise the register from time to time. To prescribe Standards of Professional Conduct, Etiquette and Code of Ethics to be observed by the practitioners. 1. Translation of the syllabus of Ayurveda, Unani and Siddha: For the past 37 years (since establishment of the Council) the syllabus of Under-Graduate and Post Graduate courses of Ayurveda, Unani and Siddha were in Sanskrit, Urdu and Tamil languages respectively. The language barrier was hindering the path of success and popularity of these systems inside and outside the country. The present Council came forward & took steps to popularise the Indian System of Medicine and successfully completed the task of translating the whole syllabus of three systems into English language which is a globally accepted language, previous secretary AYUSH Mrs. Anita Das also advised the same. This Challenging work completed within very short period of six months.